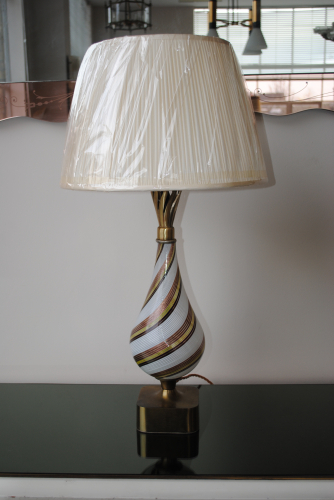 Sensational table lamp with bronze pedestal base and neck by Dino Martens for Aureliano Toso. Murano body incorporating filigrana swirls of latticino (threads of coloured glass) and aventurine (copper). Tested, certified and rewired with silk cord.